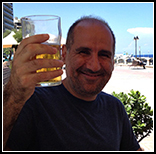 Hello friends and faithful readers of the blog! 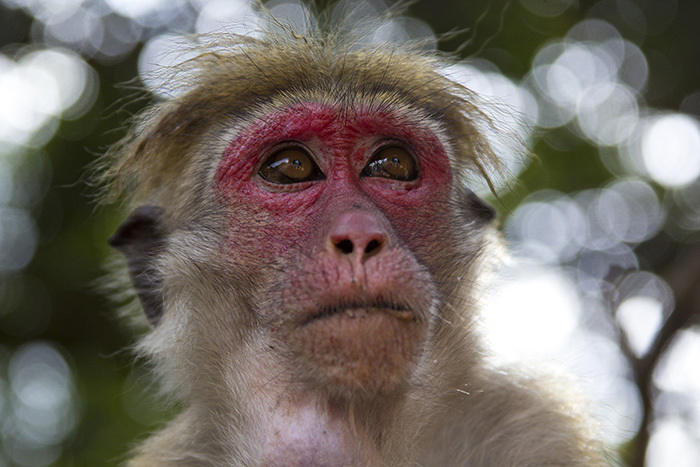 I’m back for the second part on Sri Lanka. I put the photos straight away and I’ll tell you. 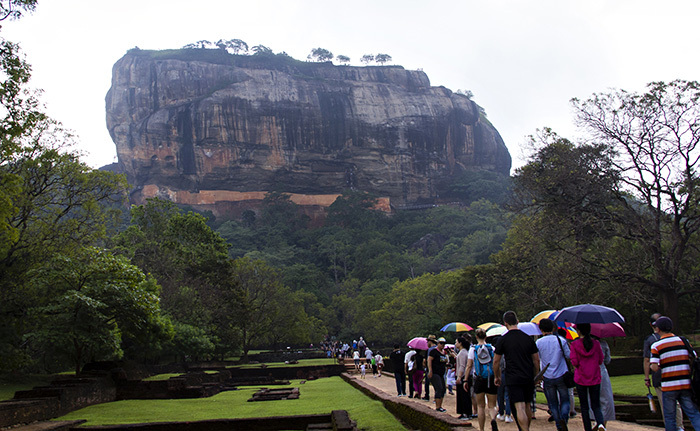 Tourists goes towards the rock-fortress Sygiria, probably the most famous archaeological site in Sri Lanka. 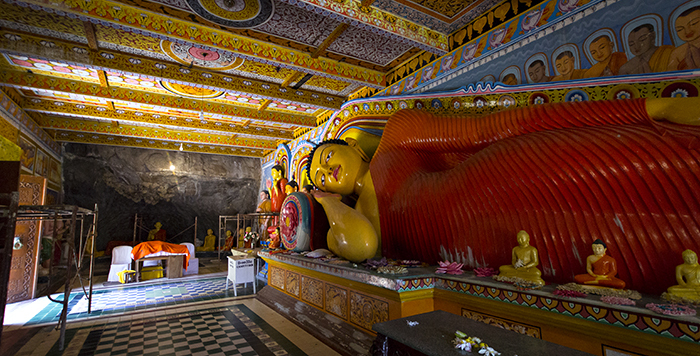 From the third century BC Buddhist monks settled in the caves of the rock. At the end of the fifth century the royal residence was established for a couple of decades at the top of the rock. After, it returned to be a monastery until the thirteenth century, after which it was abandoned and forgotten, swallowed by the forest. Here below there were the gardens, with pools and fountains irrigated by a complex water system. A monkey on the climb to the rock. Still today along the way are visible some splendid paintings (it was not allowed to take pictures) that once covered most of the rock face. 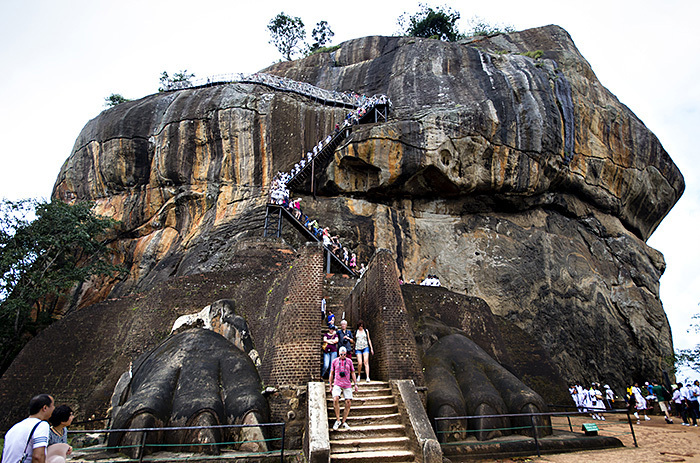 Two large lion paws are carved on the sides of the entrance to the top of the rock, also called the “Lion’s Rock”. 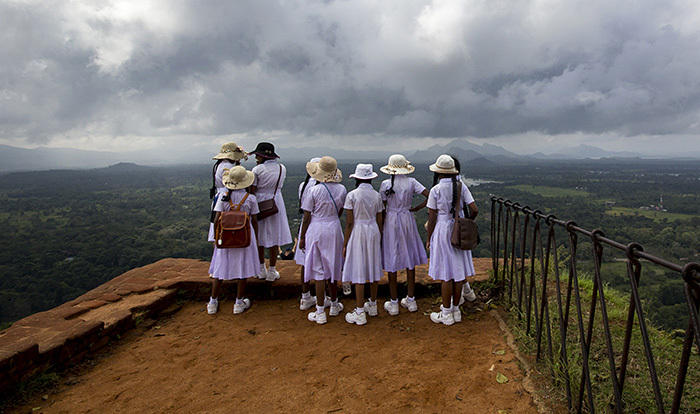 Schoolgirls observe the panorama from the top of the rock, where once there was the royal residence. 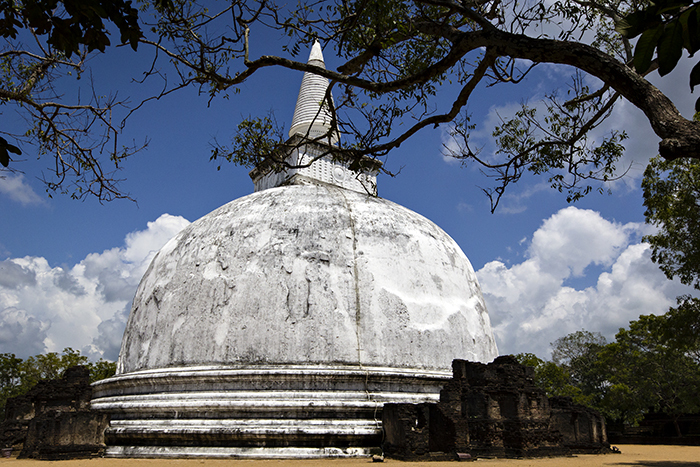 The great stupa Rankot Vihara in the ancient city of Polonnaruwa. 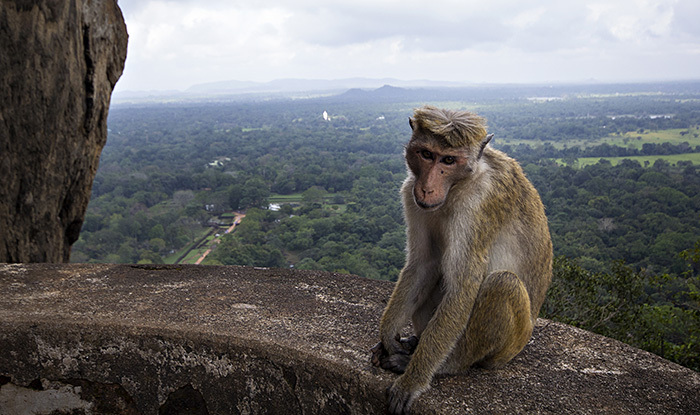 Polonnaruwa was chosen as the capital by the Chola, Tamils from South India, when they invaded the island in the 10th century. 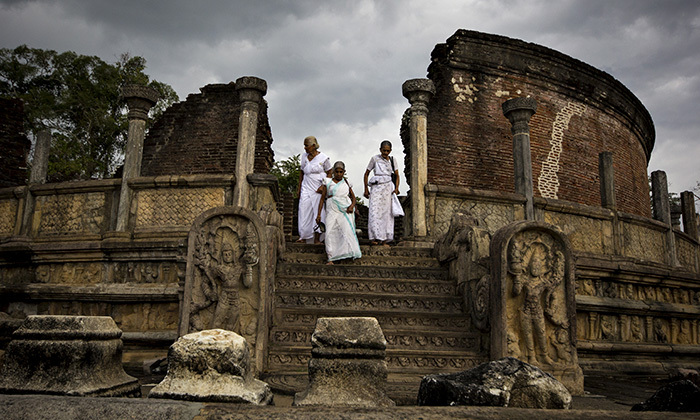 When, after about a century, the Cholas were driven out, Polonnaruwa remained the capital of the Sri Lankan kingdom for about two centuries (XI – XIII), during which it reached its peak as a political, religious and trading center. 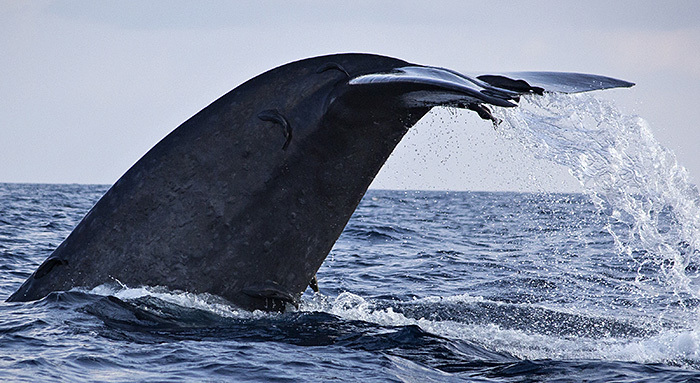 In the following centuries it declined until it was swallowed by the forest. The ruins cover a fairly wide area (I visited it by bike) and consist of the royal palace area, a pair of Hindu temples dedicated to Shiva built by the Cholas and several Buddhist temples. Old ladies come down from the “Vatadage”, a circular complex with four entrances, each with a statue of Buddha. The stupa Kiri Vihara (White milk). 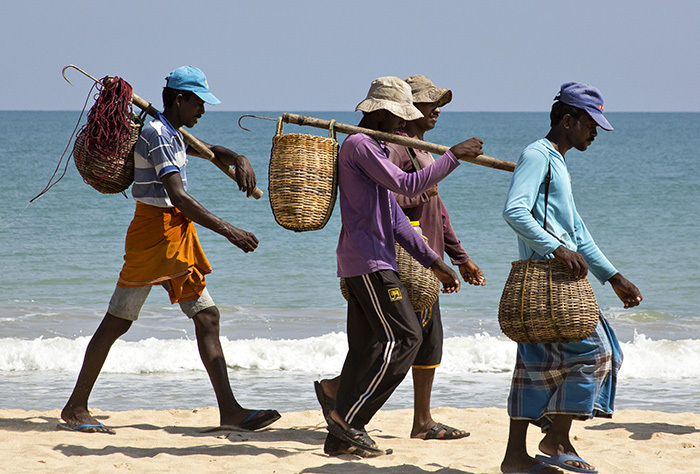 Fishermen on the beach of Kalkudah, on the east coast. As I said in the previous post, the eastern area suffered particularly the civil war, which ended only a decade ago, and was also devastated by the tsunami of 2004. 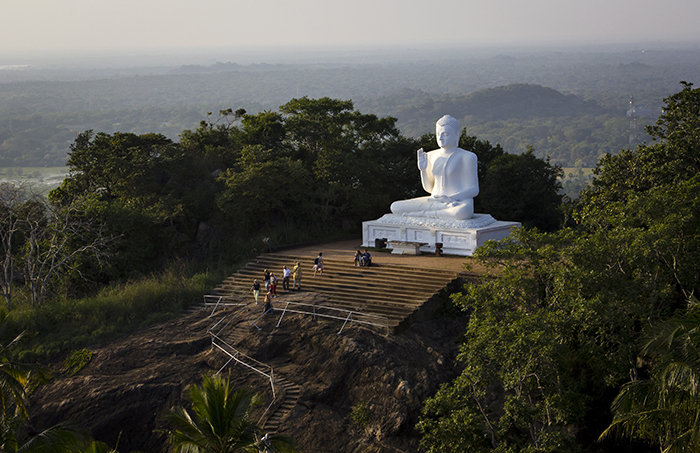 For this reason tourism has not yet developed fully compared to the rest of Sri Lanka. On the other hand you can find deserted beaches such as this in Kalkudah, several kilometers long. 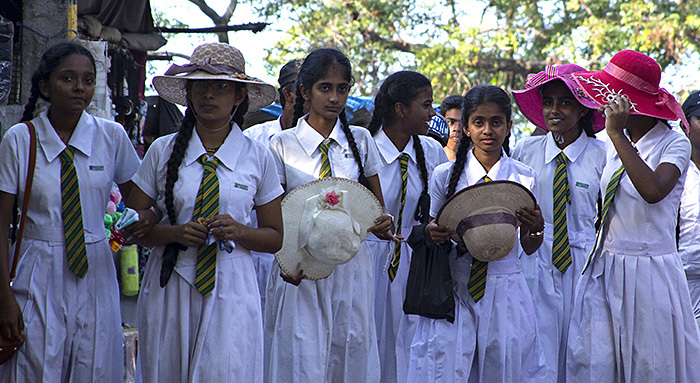 Further north on the east coast there is the town of Trincomalee. 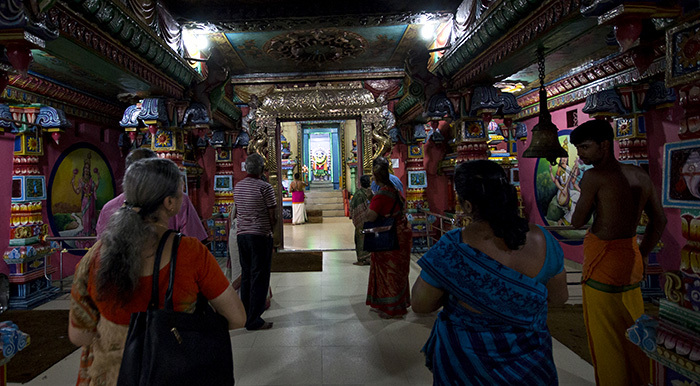 This is the “Pathirakali Amman” temple dedicated to the Goddess Bhadrakali. 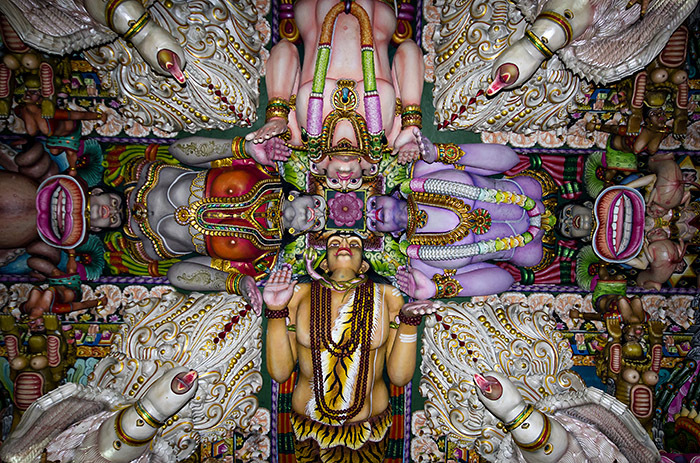 As you know in Hinduism gods and goddess are often particular manifestations of greater divinities. In this case Bhadrakali is a manifestation of the Goddess Parashakti, absolute reality, eternal and unlimited energy that transcends any form and concept. She also manifests herself as Shiva’s wife in the forms of Durga, Parvati, or the terrible Kali (the Time that devours everything). At one point a Brahmin began to ring a deafening bell, and after that a door was opened. Inside the room a priest performed a ritual with a flame. 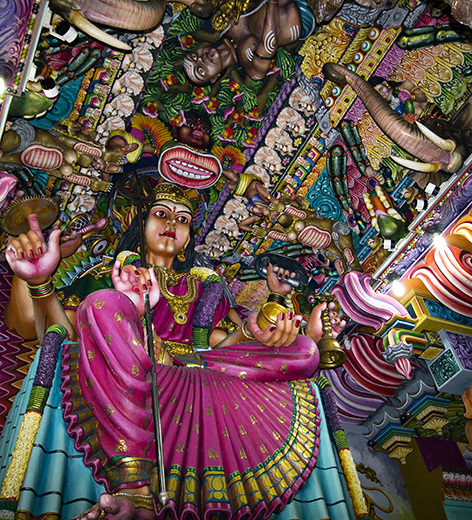 The statues on the ceiling have an almost psychedelic effect, you get lost in the kaleidoscope of images with their millennial symbolism. 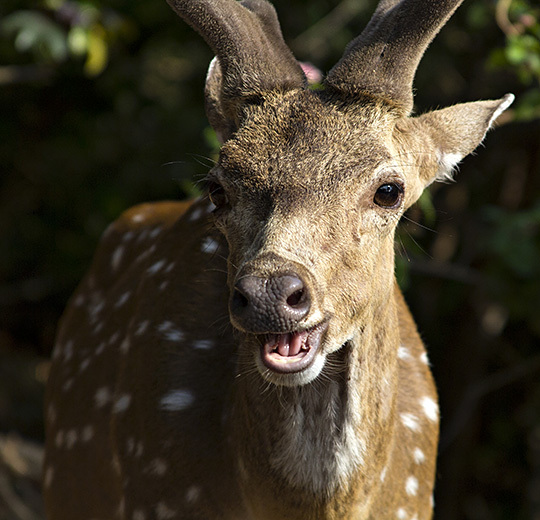 Deer roam freely around the city. 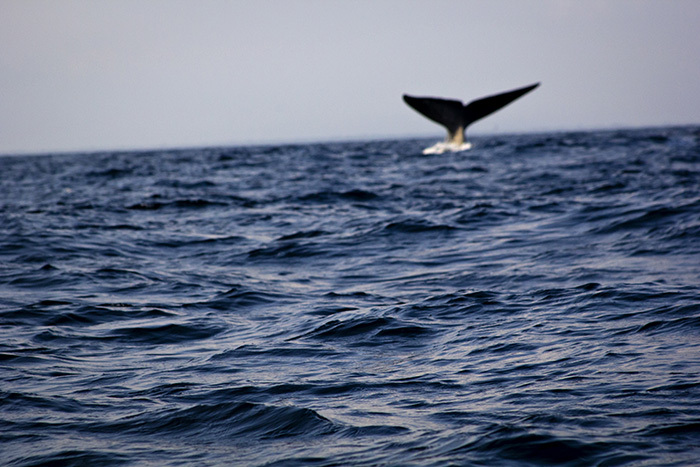 Excursion with the motorboat to see the whales from Uppuveli (where I was staying). 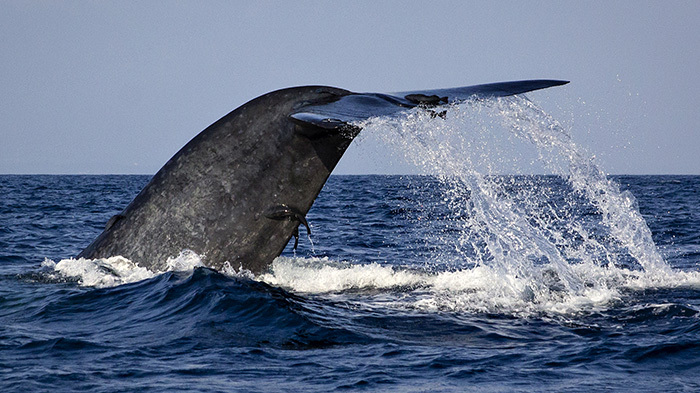 When they come out of the water it’s really exciting, they’re huge. 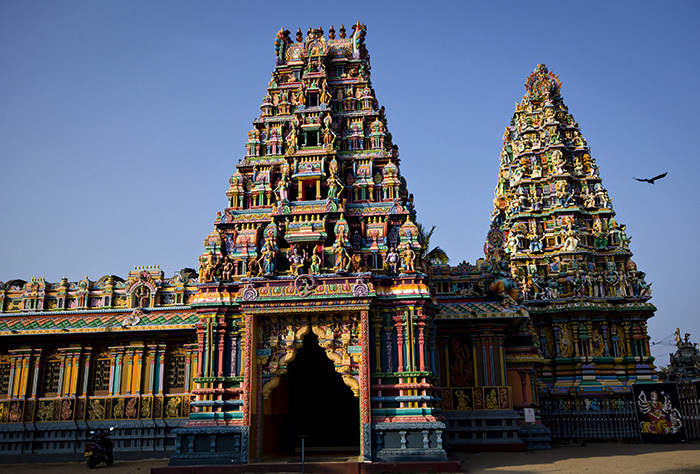 Finally, I went to Anuradhapura , another ancient capital of Sri Lanka. 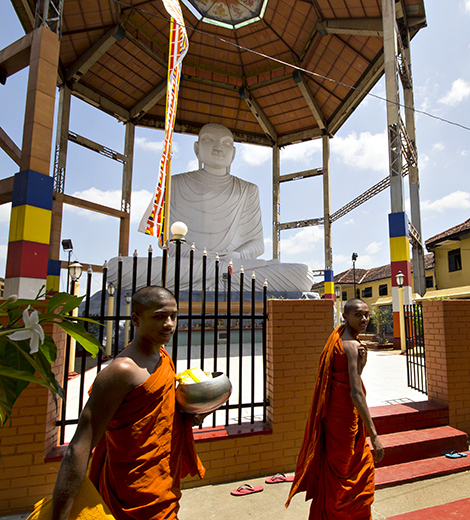 It has always been one of the main centre of Theravada Buddhism in the world. 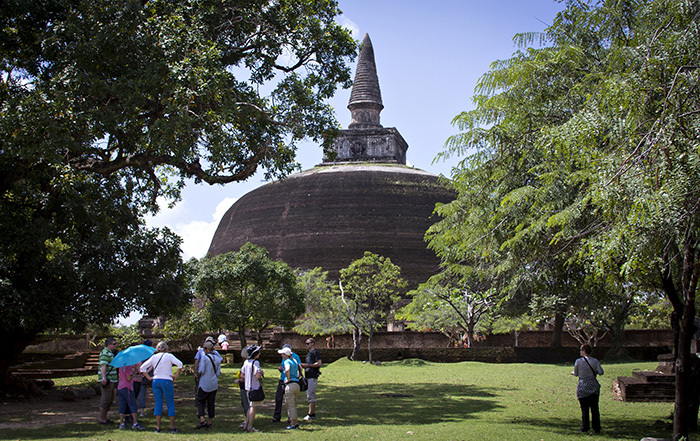 The ancient city is full of stupas (also called dagobas) and temples. It was actually planted in 288 BC, and it is true that is the oldest planted tree in the world with a known planting date. 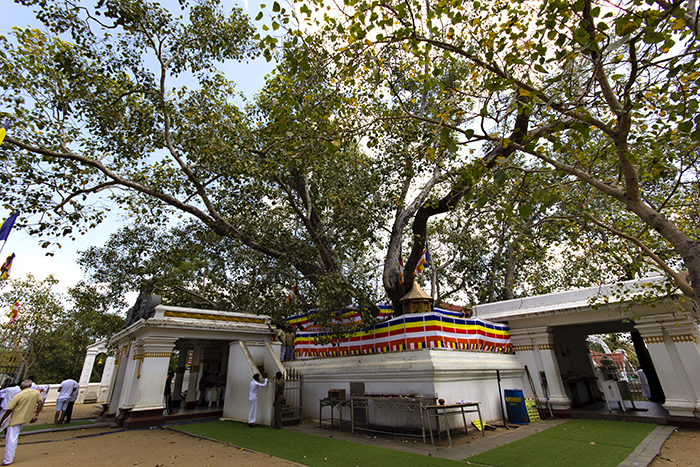 It is said to come directly from the Indian tree where Buddha reached the Enlightenment. 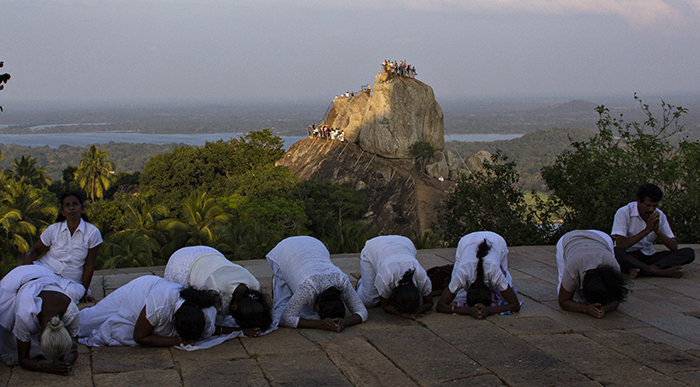 On the peak of Minthale , a few kilometers from Anuradhapura. It is a Buddhist pilgrimage site with a spectacular view of the surrounding plains. Devotees pray before the great main Stupa. In the background you can see the Aradhana Gala rock from which I took the previous photo. 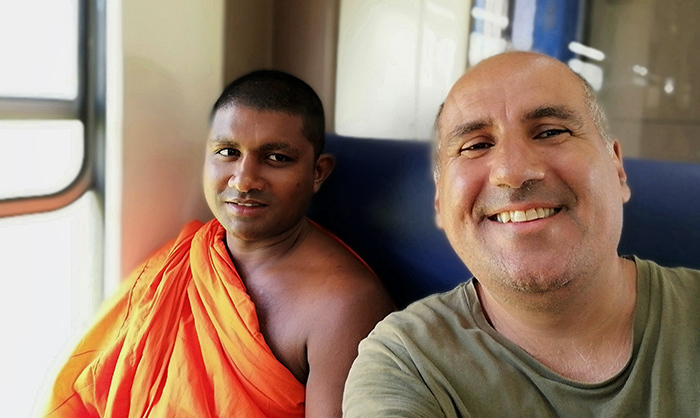 On the train from Anuradhapura to Colombo there was only one free seat left but it was reserved “for clergy”. I pretended I didn’t see it and I sat down. Anyway, I have given so much space to Buddhism in these last two posts that I think I deserve at least one seat on the train. The novice next to me seemed promising but I think he was too much on WhatsApp. This is not the way to reach Nirvana.